The timeless appeal of a black watch never fades, and the recent black on black watch trend has inspired iconic brands to produce some of their most striking timepieces to date. The versatility of black means it looks good on virtually any occasion, with any look or colour, making black on black watches a reliable accessory you can return to time after time. Paired with a smart outfit, a black watch offers a sleek and sophisticated finish. Or you can dress it down with dark denim and a graphic t-shirt, allowing your black on black timepiece to make a bold statement. From effortlessly cool urban designs to premium sports models, we've chosen some of our very favourite black on black watches to provide you with some style inspiration. 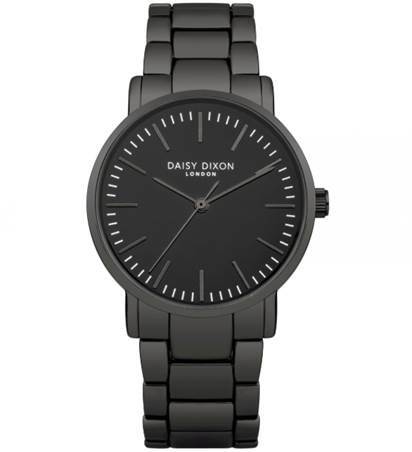 Designed to take you from desk to disco and everywhere in between, the Kate watch from Daisy Dixon makes for a versatile addition to your jewellery box. The shimmering ceramic glistens with silvery-grey tones in the light, while the stark, matt black dial offers a subtle contrast. Pair it with a killer LBD for a sophisticated, coordinated look. 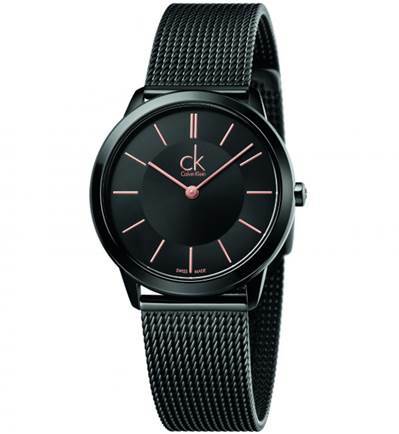 Black works well with virtually any colour, and the combination of black on black, rose pink, and Calvin Klein is simply irresistible. The Minimal watch from the iconic American fashion house blends several hot trends into one slick piece that will add modern style to any ensemble. The striking mesh bracelet and rose pink CK logo make this Swiss Made beauty a must-have design for fashionistas everywhere. 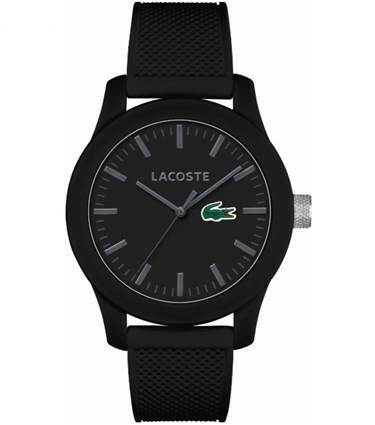 Usually knowns for its light, bright, and breezy sporting designs, Lacoste shows off its darker side with this black on black modern classic 12.12 watch. The tough rubber strap and robust case allow it to take the on-court blows, while the jet-black dial and gun-metal grey detail make it perfect for a night on the town. 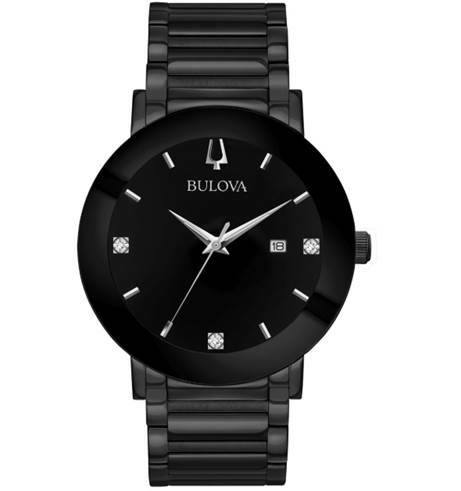 Cutting-edge design and handsome good looks combine beautifully in the luxurious Savvy watch from Bulova. The jet-black dial makes for a stark contrast set against the sooty tones of the stainless steel bracelet. Three genuine diamonds add a touch of sophistication to an overall awe-inspiring piece. Pull this out of the bag at your next VIP meeting or black-tie event and let the compliments come flooding in. 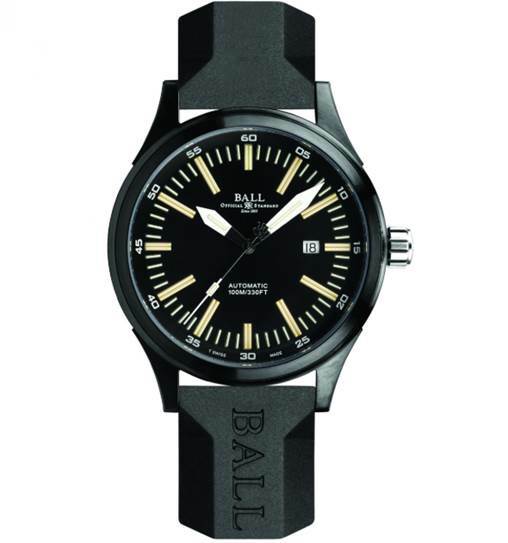 One of America's coolest watchmaking brands, Ball never fails to deliver anything less than jaw-dropping when it comes to must-have wristwear. The Fireman Night Train DLC automatic watch is another triumph, tough as nails with its anti-reflective sapphire crystal screen and sturdy rubber strap. 75 micro gas tubes around the hour, minute, and second hands make telling the time a breeze, completing a watch that boasts both distinction and durability. 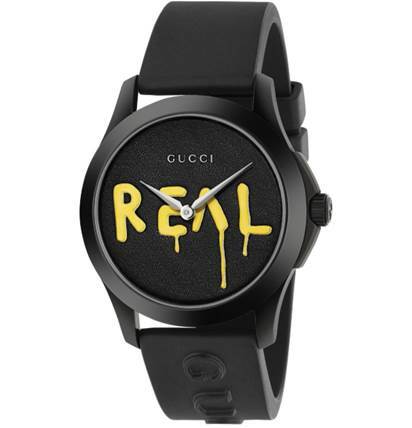 Gucci collaborated with celebrated graffiti artist Trouble Andrew to create a collection featuring unique, spray-painted designs, including the ultra-edgy Timeless Ghost watch. The black on black effect provides the perfect backdrop for the dripping 'real' text. The numberless dial also features the distinctive Gucci logo, pairing high fashion with street style in an effortlessly fresh balance. Pair it with your favourite casual scruffs or your best haute couture outfit – it looks great either way. The black on black trend is here to stay, and there's never been a better time to find so many aspirational designs that really work the look. If you can't get enough of this up-to-date style, check out our newest arrivals to shop the latest trends.